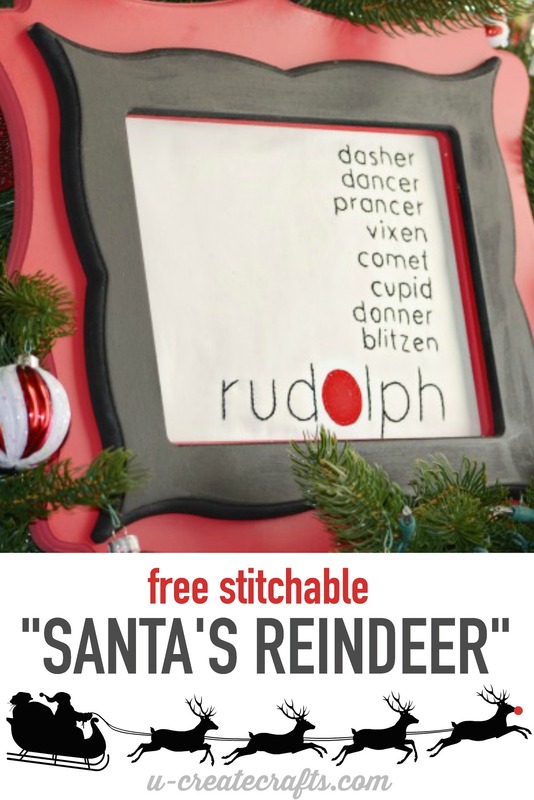 I’m so excited to share my latest free stitchable pattern with you! It’s called “Santa’s Reindeer” and it’s so simple because you only need two colors of thread and a tiny piece of fabric for Rudolph’s nose. I’ve actually had this idea in my head for the past couple of years and decided to finally get it off my computer and share it! 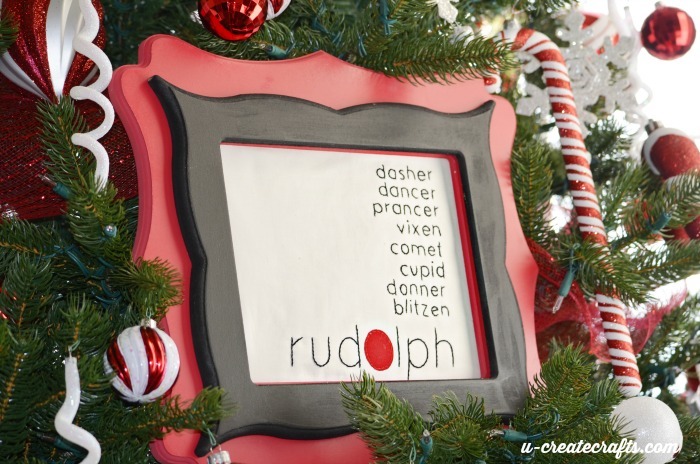 Put it in your favorite frame and you have a festive addition to your Christmas home decor. 1. 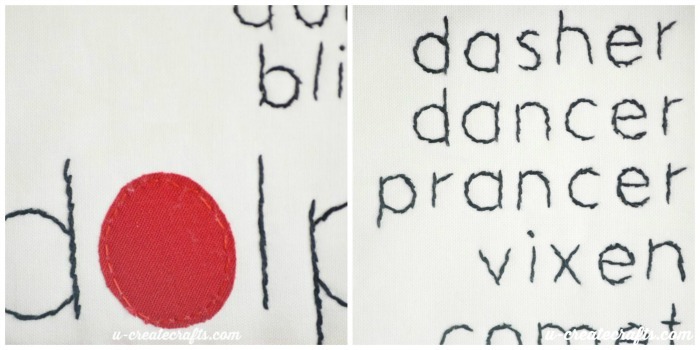 Use two threads of DMC Black for the reindeer names. 2. Stitch one thread of DMC Red 817 to appliqué the nose. 3. Pop into a frame or turn into a pillow and ENJOY! © Ucreate, LLC. For personal use only.